I'd be safe and warm    if I was in L.A.
"California Dreamin'" is a song written in 1963 while John Phillips and Michelle Phillips were living in New York City. He dreamed about the song and woke her up to help him write it. At the time, John and Michelle Phillips were members of the folk group the New Journeymen, which evolved into the Mamas & the Papas. They earned their first record contract after being introduced to Lou Adler, the head of Dunhill Records, by Barry McGuire. In thanks to Adler, they sang the backing vocals to "California Dreamin'" with members of the session band The Wrecking Crew on McGuire's album "This Precious Time". 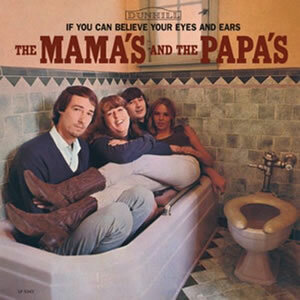 The Mamas & the Papas then recorded their own version using the same instrumental and backing vocal tracks to which they added new vocals and an alto flute solo by Bud Shank, which was thought to be the inspiration for the main theme of Andrew Lloyd Webber's tune for "Memory". P. F. Sloan performed the guitar introduction. McGuire's original vocal can be briefly heard on the left channel at the beginning of the record, having not been completely erased. 1st recording of California Dreamin' - Barry McGuire. Different lead singer but the same backing track as the Mamas & Papas hit version except for the harmonica solo. - https://www.youtube.com/watch?v=5W2se8MMqwo.